NEW YORK. — Sergeant Joey Falcone has witnessed more suffering and death than anybody should be allowed as a medic for the U.S. Marine Corps infantry during three tours of duty in Kuwait, Iraq and Afghanistan. 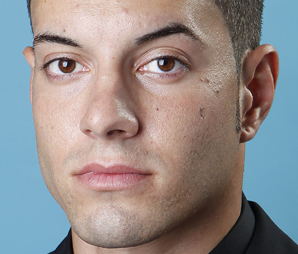 The 24-year-old freshman right fielder at College of Staten Island is a true American hero. Collegiate Baseball is honored to tell his story of the horrors he witnessed during his tours of duty to remind people what sacrifices these brave men and women make to keep our country free. Rarely does our publication focus in on the military. But with the recent killing of Osama bin Laden, we thought it was appropriate to take an in-depth look at what one of our own went through as he served his country. At times, baseball coaches will refer to games as “war”. But veterans like Falcone take great exception to this because war is about killing enemies which causes death and destruction. Baseball is nothing close to war. Falcone, who had five relatives working near the Twin Towers in Manhattan, N.Y. on Sept. 11, 2001 when terrorists forced two airliners into the buildings which killed thousands, has never forgot that day even though he was a young boy at the time. His uncle was working in the North Tower while three cousins were doing construction across the street. And still another uncle was a fireman who was on the scene. All of them survived. Since he was a 3-year-old, he had a bat in his hand and played baseball all the way through high school at Bolton High School in Alexandria, La where he was a right fielder. His dad is former Major League LHP Pete Falcone who played 10 years for the Giants, Cardinals, Mets and Braves, and he taught his son how to play the great game of baseball. After Joe finished high school, he decided to enlist in the Navy because he didn’t apply himself academically in high school. “I didn’t take high school and grades very seriously,” said Falcone. “I gave it a minimal effort. I was essentially a C student, and it just wasn’t that important to me. My favorite thing to do in high school was play baseball. Other than that, I could care less about academics. I didn’t feel it was even important to fill out applications for colleges because I just didn’t want to go to school any more. Falcone said that was the beginning of a seven year odyssey in the military that took him to some of the most dangerous places in the world in Iraq and Afghanistan fighting for the United States and caring for soldiers who were shot or blown up by road side bombs as a medic. After boot camp for nine weeks, he was trained to be a medic as he learned everything it took to keep wounded soldiers alive for an additional 16 weeks. At that point, he was sent to Naval Hospital in Bethesda, Md. After two months, Hurricane Katrina hit, and he was put on a hospital ship to help victims in the Gulf area. Once he got back to Bethesda, Md., he worked on the Casualty Ward at Naval Hospital and helped wounded Marines who came back from Iraq for the next couple of years. In February of 2007, he went on his first tour of duty in Kuwait and didn’t experience much action as he served until September. Then he flew back to Bethesda, Md. and was then sent to the third Marine Division in Camp Lejeune (Lejeune, N.C.). 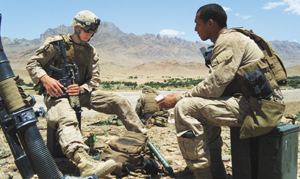 At that time, he went through new training to become a Marine Corps medic. When he graduated, he was sent to Hawaii to be with the Second Battalion, Third Marine Regiment, Third Marine Division in December of 2007. Falcone said the Third Marine Division then flew to Iraq in February of 2008 and performed numerous dangerous missions in the suburbs of Fallujah. “That place was pretty nasty. We went to a forward operating base, and we were right in a middle of a third world, run down war zone slum with bullet holes in all the buildings. The place smelled like smoke, gun powder, crap and sewage. We lived in a little Iraq police station which was essentially a little hut of concrete. “Me and another guy were medics for over 60 Marines. We worked out of there and pushed out on missions in incredible heat which was over 120 degrees as you were wearing uniforms complete with bullet proof vests over your chest, right and left flanks and back along with an 80 pound back pack and medical bag to treat wounded soldiers. You also had to carry ammunition and a rifle. Plus you have your Kevlar helmet on. Falcone said you were always being watched by the bad guys during these missions. “There were many times you get shot at, and you didn’t even know where the bullets came from. So you keep walking. “You patrolled through these small towns which are mine choked in the ground with IEDs (Improvised Explosive Devises). If you step on one, it will either kill you or take off your legs. They are hard to spot, but you are trained to look for the smallest things which tip you off. “It was like Russian roulette going out on these patrols. You never knew if you would step on a mine, and you never knew if you would make it back alive. Every day was like this…an endless march with the possibility of dying. “You had sniper fire and people who would walk up to you and detonate a bomb which would blow themselves up along with a Marine. The enemy would blend in with the people of the town. And you never knew who was who. A guy might come up to you and try to shake the hands of a soldier and praise him by saying, ‘American forces good’ or something like this. But that night, he might be the same guy who places an IED in the ground to kill us. “When my men got shot, I would have to wrap them up and medivac them out. Hopefully they wouldn’t die. If one of my men was shot, you had to determine if it was safer for another Marine to get him to me or me go to them. In some cases, the victim might be 15 meters away and other cases 200 meters away. It depended on how big the ambush was and geography of the fire fight. “Once I start administering first aid and made sure his heart was still ticking and air was filling up his lungs, that is when I call the helicopter to medivac him out. And I would tell them it was immediate, urgent or routine. I would usually tell them immediate so I could get them out of there as quick as possible. “If my guy was dead, then he would be called ‘black’. Falcone said that he medically attended to the enemy at times and the residents of the town who were caught in the middle. Falcone said that IED explosions to soldiers were absolutely horrible to treat. “They were extremely messy, and they would lose one or both legs. I had a buddy who stepped on an IED, and the explosion destroyed both legs and his body just above his hips. You can’t live like that. He survived for a short period of time but eventually died from his wounds. When you are a medic and face a situation like that, you have to have tourniquets above the wound area to stop the bleeding because blood is just gushing out. Falcone, who was never wounded during his three tours of duty. But he came extremely close to being killed several times including once along a mountain road. “We were in vehicles traveling on a mission. And an enormous IED explosion went off between my vehicle and the one directly behind mine. If the mechanism in the bomb went off two seconds earlier, the explosion would have destroyed the vehicle I was in or the one behind me two seconds later. Falcone said that maybe the most horrifying situations during his deployments took place when vehicles ran over IEDs which then destroyed the vehicles and anybody inside. Falcone said the smell of the decaying flesh was difficult to stomach. “Keep in mind the temperature is 120 degrees, and body parts are just decaying in the bags. Mangled flesh has one of the most nauseating smells I have ever endured. Plus, you are looking at it and realizing that they were your friends. It not only smells, but it is so eerie as well. Falcone said the worst part of being deployed in Iraq was coming back to the USA and knowing that he would be deployed once again in the near future to Afghanistan. “Being out there is difficult being in fire fights, people being torn to shreds with mines and cleaning up body parts and all that messy, gruesome stuff. Falcone said when he arrived in Afghanistan, it was more of the same, but with a different landscape and different enemies. “Afghanistan had more mountainous regions. I was in southern Afghanistan where a lot of the Taliban was. The best way I can describe the Taliban is that they were bullies and bandits. They took advantage of the local people who were extremely poor. Afghanistan is a third world country, and almost everybody is flat broke and live in mud huts. Falcone was asked if he ever saw any beheadings as the Taliban retaliated against others. “They would bully the local people quite a bit. One time we saw the remains of a local school teacher who was filleted and diced into many parts with a knife. Maybe the Taliban thought the teacher was being sympathetic to Americans. Who knows? It was so difficult as an American to comprehend people doing things like this. Falcone remembered another situation which took place when the Taliban targeted a local family. “This poor family was rolling down a dirt road in a car which was packed with people. There was a pregnant mother, two little girls, a dad and his son. The Taliban planted an IED specifically for this family in the ground of the road. The car ran over the mine, and the vehicle was pulverized. Amazingly, only a couple of people from the family died in the explosion. Falcone said in November of 2009 he got back to the USA from Afghanistan and was stationed in Hawaii. And then from November until July, he served out the remainder of his time in the military since he didn’t want to re-enlist and began playing baseball once again for his unit team. After a period of time, he decided to enroll at College of Staten Island since it was close as he took full advantage of the GI Bill and didn’t have to pay for classes. As he was enrolling for nursing classes, he asked if he could try out for the baseball team, and he was told where to apply. He made the team and has had an outstanding season as a 24-year-old freshman. Late in the 2011 season, he was hitting .355 over 35 games which ranked second on the team. He also knocked in 29 runs and produced 7 triples, 4 doubles and 1 home run as he recorded a team-leading slugging percentage of .545. Most freshmen would be thrilled at such numbers. But the grizzled combat veteran gave an interesting answer. “I have been in the infantry for so long that failing seven out of 10 times really bothers me as a hitter,” said Falcone. Joe Falcone is an American hero who can play on my ball club any day. To subscribe to Collegiate Baseball, CLICK HERE. BELLEVUE, Neb. — Bellevue University has reached a settlement with long time baseball coach Mike Evans that exonerates him of any wrongdoing with events surrounding the team’s forfeiture of 40 games during the 2010 season. The financial aspects of the settlement are confidential and were not disclosed. 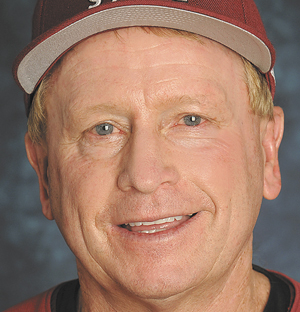 Evans, who coached at Bellevue for 22 years from 1989-2010 with a 928-457-1 record, led the Bruins to 12 NAIA World Series appearances while earning an NAIA national title in 1995. He did not have his contract renewed following the 2010 season. Late that season, allegations were made that a transfer document from Sam Houston State for player Jon Reed was never received by Bellevue Athletics’ Director Ed Lehotak. According to Evans, Lehotak told him that he never received the release. Evans responded that he was informed by the Bellevue administrator who handled transfer releases that it had arrived months prior to this. Evans said he and two other witnesses were at a meeting with this administrator to make sure the transfer release had been received. In addition, paperwork turned in by this administrator verified the transfer release was in as a document was sent to the NAIA. The former Bellevue coach said Lehotak never bothered to ask this administrator to arrange for another transfer release to be sent from Sam Houston State to clear the matter up and instead self reported the problem to the NAIA just as the baseball team was entering the post-season playoffs. The NAIA ultimately ruled two of the wins were allowed in 2010 since Reed didn’t play in those games while 40 games were either forfeited or lost during that season as Bellevue suffered a 2-40 season despite closing the regular portion of season with 29 wins in 30 games. When Evans’ contract was not renewed at Bellevue, he said it took nearly a year to find another job as he applied for 175 jobs with no success until Head Coach Rocky Ward at New Mexico State hired him as the Aggies’ pitching coach in 2011. Evans FAXed a copy of a letter to Collegiate Baseball that Bellevue President Mary Hawkins sent to him on Sept. 20, 2013 that stated: “Dear Mr. Evans. After reviewing the facts and the circumstances leading to the 2009-10 forfeiture of the Men’s Baseball season, Bellevue University has concluded that you properly directed university staff to obtain a Release from a transferring student’s university. Evans said in a release that he was thrilled with the financial settlement outcome from Bellevue. “What I am not thrilled with is the fact that we lost our season,” said Evans. To read more about Coach Mike Evans’ 3-year battle to clear his name, purchase the February 21, 2014 edition of Collegiate Baseball by CLICKING HERE. MT. PLEASANT, Mich. — Craig Keilitz has been named the new Executive Director of the American Baseball Coaches Association after a lengthy national search. Currently the Vice President for Athletics at High Point University, he will be the fifth full-time executive director for the ABCA, an organization now in its 70th year of existence. 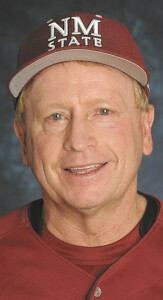 Dave Keilitz, Craig’s Hall of Fame father, announced that he will step down as Executive Director of the ABCA in June. He has served with distinction in that capacity for the last 20 years. Craig will take over on July 1. “We couldn’t be more pleased with our selection,” said Mark Johnson, chairman of the ABCA Selection Committee. “We had some outstanding people apply for the job, and the committee feels that Craig is the perfect person to lead us. We started the process last June at the College World Series in Omaha. Craig said he is thrilled to be the new executive director of the ABCA. Ron Wellman, athletics’ director at Wake Forest, and Keilitz’s boss for a number of years, felt the ABCA hit a home run with their selection. “Craig is an exceptional person and a rising star in college administration,” said Wellman. “He is so upbeat and positive about everything and has a tremendous work ethic. Craig’s connections in amateur baseball and professional baseball are impressive. He will be an outstanding leader for the ABCA. Under Craig’s guidance, High Point has upgraded facilities, added two sports, upgraded staff positions in all areas and increased resources to be competitive with the top schools in the Big South. Under Keilitz’ leadership, High Point Athletics has undergone a complete evaluation of all aspects of the department and its various programs with goals of operational efficiency, extraordinary service and championship performance. In the past five years, High Point has won nine conference championships in the regular season or tournament. The Panthers finished third in the Big South Sasser Cup all-sports standings each year under Keilitz’s watch. Prior to that, HPU had never finished higher than fourth. An energetic and enthusiastic leader, Keilitz’s first major project was a $2 million renovation of the interior of the Millis Athletic Center. The project included a new playing floor, all new chair-back seats throughout the arena, a fourth video board, a new center-hung scoreboard and state-of-the-art sound and lighting systems. Upgrades have continued with a new volleyball locker room in 2009, a new men’s and women’s basketball office suite in 2010 and new men’s and women’s basketball locker rooms in 2012. Craig’s fundraising skills are the envy of many in collegiate athletics. He increased Panther Club income from $180,000 in 2007-08 to $1.9 million in 2012-13. $10 million Athletic Performance Center currently under construction. Improvements to Williard Baseball Stadium, including new outdoor batting cages and bullpen, new multimedia video board with sound system, video webstreaming with three cameras for every game. When he was at Wake Forest from 1996-2008, he had direct supervision of marketing and promotions, media relations, ticketing, operations and event management and facilities. He ultimately became Associate Athletics Director. Craig was a member of the executive team that managed the $48 million Deacon Tower football facility construction project that included a new press box, luxury suites, club seating and a restaurant. Wake Forest set football attendance records five times in seven seasons of oversight by him. Keilitz has been active at the conference and national levels. He was named to the NCAA Div. I Championship/Sports Management Cabinet in 2012 and is on six different Big South committees, including chair of the men’s soccer committee. 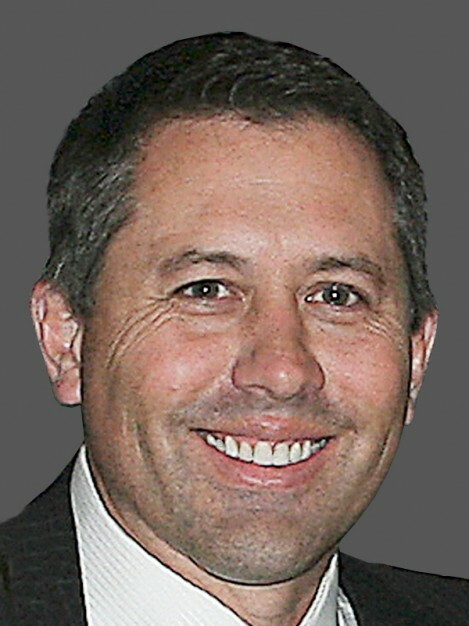 Keilitz started his career in college athletics at the University of Michigan in 1993 and was promoted to Director of Compliance in 1995. A native of Mt. Pleasant, Mich., Keilitz earned his bachelor’s degree in communications with a minor in marketing from Central Michigan University in 1991. He was a member of the Chippewas’ baseball team as an outfielder. Keilitz received his master’s in sports administration from Ohio University in 1992. He resides in High Point, N.C. with his wife Jane, who works as a physician’s assistant at Johnson Neurological Clinic.